It seems that pallet fences are great for small livestock. One reason for that would be the fact that pallets are easy to come by and if a section gets damaged you can just replace it. Of course, pallets are quite strong and sturdy so you shouldn’t have any problems with it, especially if you’re using steel posts as suggested on alifeofheritage. 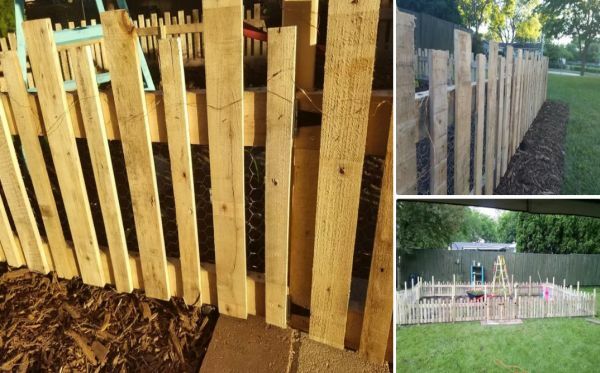 In addition to being very cheap or even free in some cases, pallets are also incredibly versatile and can be used in a lot of cool projects, including some great and cheap fencing options. 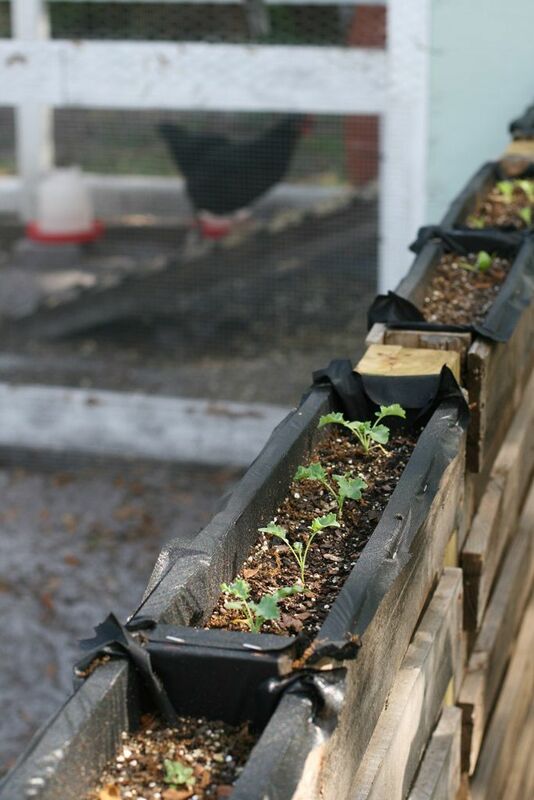 A particularly cool idea is to turn the tops of the pallets into planters. The suggestion comes from naturallyloriel so that’s where you’ll find the instructions for this project. A pallet fence can be pretty great even if it lacks some of the extra features described in this article. A simple DIY pallet fence like the one on fairywingsanddinosaurs can be super charming. You can even go as far as to also build a pallet gate and a trellis of some sort. You could use the framework to train plants to climb on it. 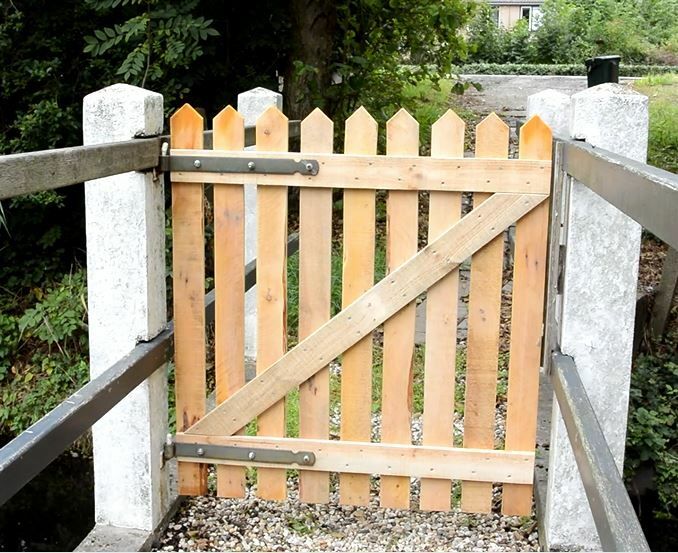 Building pallet gates is pretty similar to building pallet fences except perhaps for the option to add wheels for easy manipulation. While you’re at it perhaps you’d also like to add some built-in planters to your design as well. You can find plans for this particular sort of project on 99palletideas. If you’re interested in building a picket fence you should know pallets are great for that too. You’d first have to take them apart and to make a few cuts but once you have all the pieces assembly should be pretty easy. If you need help you can check out adventurous-andersons. Here you can find a bunch of inspiring projects, including this one. There’s a lot that you can do with pallets in addition to the basic property fence. 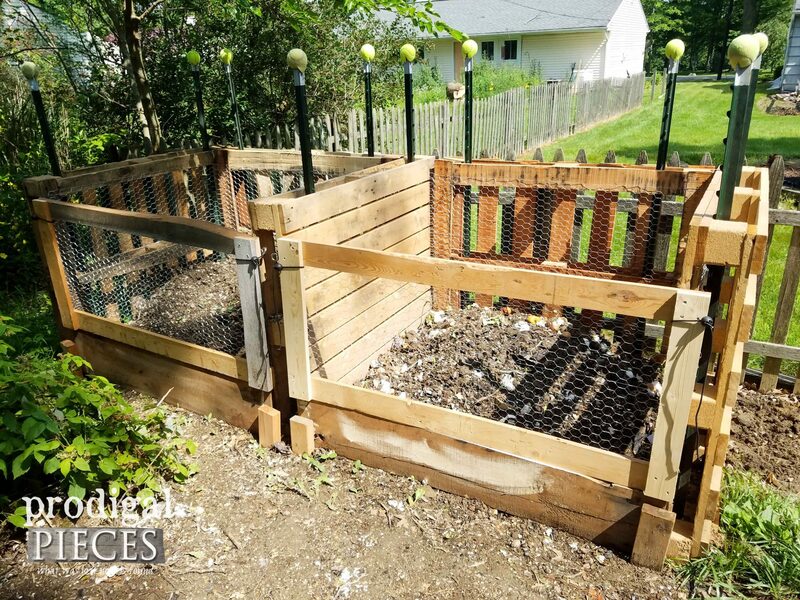 If you have a garden, for example, you could build a pallet compost bin. As it turns out, it’s a fairly simple project, especially if you have some help. You can find a very detailed tutorial for it on prodigalpieces, complete with pictures, instructions and tips. 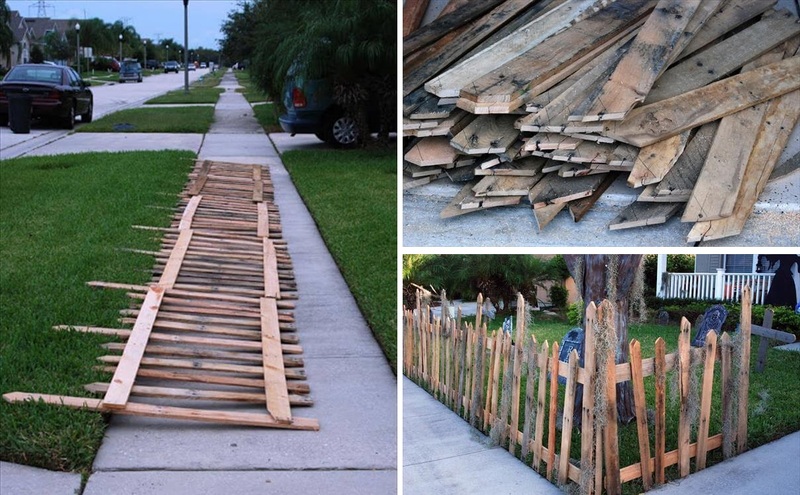 Now let’s get back to our initial idea: the DIY pallet fence. Not all fences are the same nor they should be. You have to first consider the purpose that fence should serve before you start making plans. 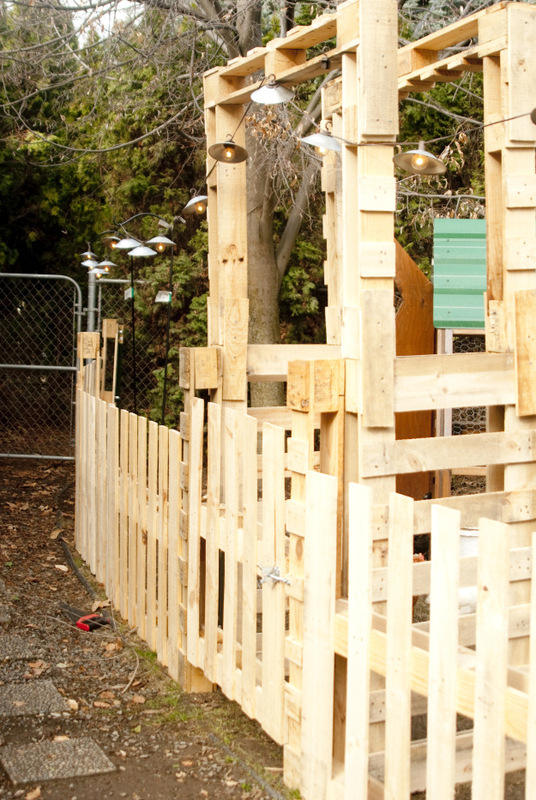 A cute example is the little pallet fence featured on instructables which delineates a playground area. It’s low and simple and if you want to make it look even cuter you can paint the fence in a fun color. On instructables you can also find instructions on how to build a a pallet fence gate. All you need is a wood pallet, a jigsaw, a drill, some screws and a door spring. You can design it to match your pallet fence or you can choose to make it stand out. Staining or painting the wood is always an option. 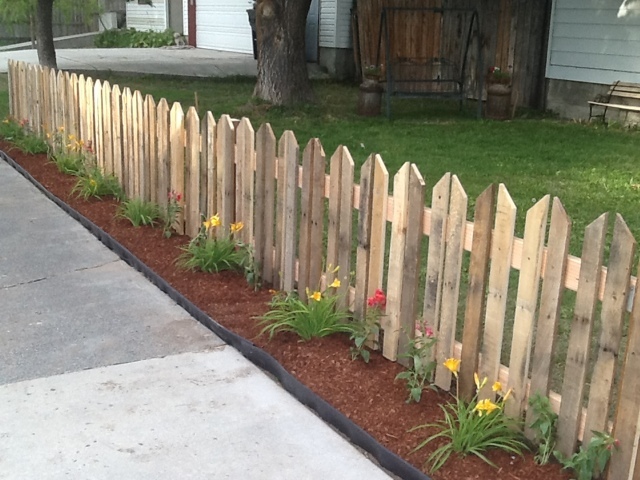 Not to worry, pallets can also be used to be modern fences too, not just the classic picket fence type. A great example in this sense is the project from 1001pallets which shows you how to build a patio surround with horizontal boards, creating a simple and modern fence design. 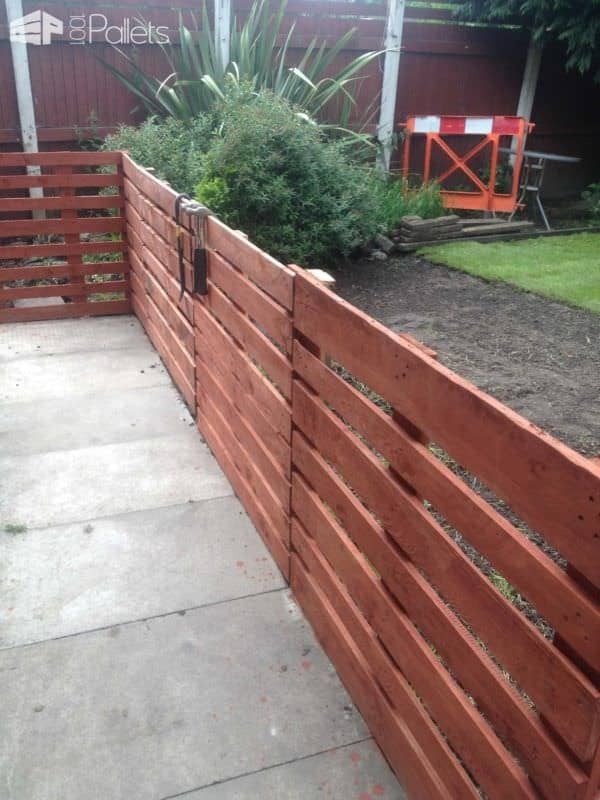 Have a look at the description and then start planning your own DIY fence project. 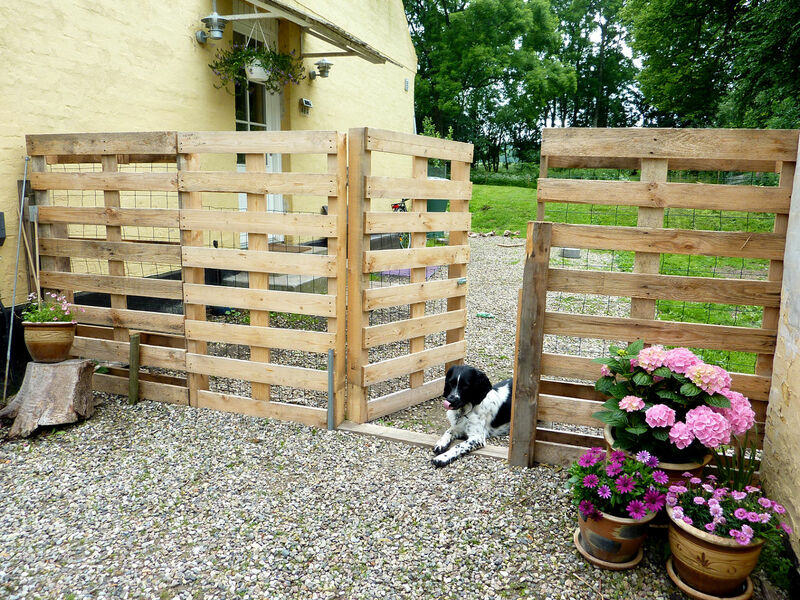 Speaking of simple pallet fences with vertical boards, there’s also a nice example on hometalk. We like the see-through design which doesn’t block the view completely. The wire mesh is a nice addition in this case. We also like how the gate perfectly matches the fence and blends in seamlessly when closed. Now let’s talk a bit about the fact that DIY projects are never perfect and there are always little details that let you know it’s a homemade craft. Well in that case you might as well go with the flow and make your fence look intentionally imperfect. It could actually turn out pretty cool. You can find inspiration on 99palletideas where the fence boards are not parallel to each other and don’t even have matching lengths. They’re also not spaced-out perfectly. The post How To Build Your Own Pallet Fence From Scratch appeared first on Home Decorating Trends – Homedit.